Well before Lady Gaga was running round singing about telephones, Dusty Springfield was running around singing about what she got up to with sons of preacher men. 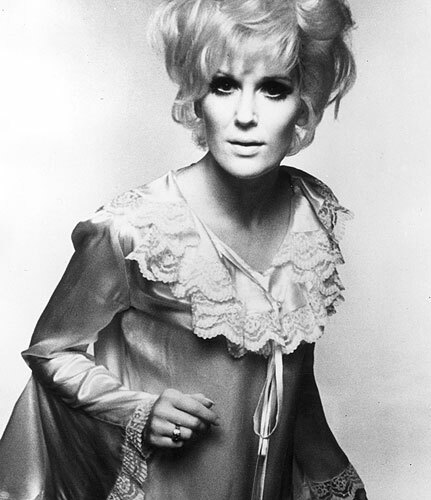 Dusty was a very popular singer, almost as well known for her crazy life story as her songs and singing career. Given Dusty's sexual orientation, a song that was a possible inspiration for Lady Gaga's Born This Way (excluding I Was Born This Way of course) was Dusty's own song titled Born This Way, from her album Reputation . The lyrics of the song can easily be interpreted to a consideration of one's sexual leanings. Born This Way was written by the duo of Geoffrey Williams and Simon Stirling. Check out the lyrics to Gaga's You and I.
Thankyou dusty,what an inspirational song!!!! !